Hi friends! I want to tell you about a set of hair products - Angela Cosmai Feel My Hair. I was approached to review the Smoothing Shampoo and Conditioner, Vanilla Bean Deep Conditioner, Smoothing Spray Detangler, and Smooth Leave-In Conditioner - of course I said yes! My regular daily hair care routine is very low-maintenance. I wash and condition my hair every other night and sleep on it wet. Waking with natural wavy texture in the morning, I usually pull it back in a bun or pony tail. If I put any effort into it, I curl with with my straightening iron - it holds curl very well. Straightening, however, I don't usually waste time on, mainly because it never stays straight. If I tuck it behind my ears, I get a dent. If it's raining or humid, it gets frizzy. So....enter Angela Cosmai's products and wow! My students told me my hair felt so soft and smooth, as did my Mom (who is now planning on trying my sample products). 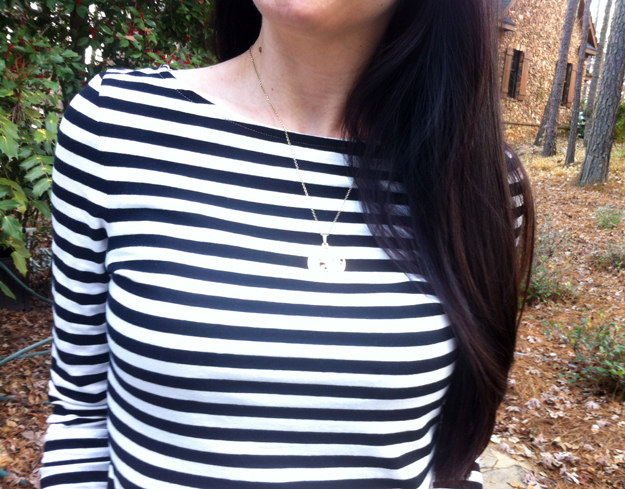 The products makes my hair very silky - almost too much with my natural texture, but it's perfect for straightening. 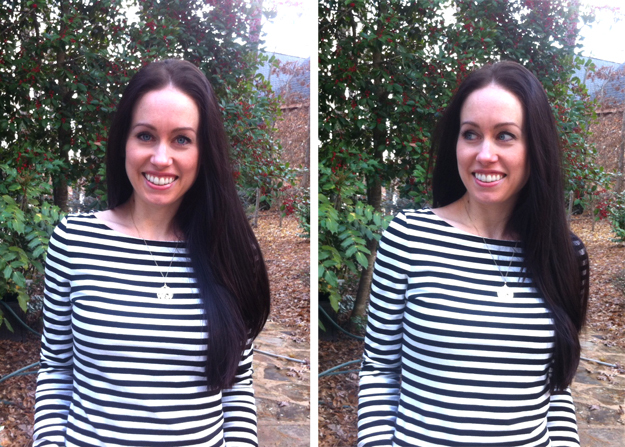 In my last two blog posts, I washed and dried my hair, then straightened, all at one time. I was able to pull my hair back off my face repeatedly for two days and never had a dent! In the pictures below, I used all the products the night before, and woke up with my wavy, albeit silkier, texture. I straightened my hair for the pictures and it feels just as smooth as it did a few weeks ago for the previous blog entries. The prices for the big bottles are expensive - $60 for a liter - more than what I usually spend on my hair. However, there are 2oz bottles that are perfect for traveling and sampling and they start at $8 (or try the sample pack for $35). The products are perfectly suited for color treated and natural hair. Made with natural botanicals, they are mild enough for every day use and produced cruelty-free. I definitely recommend trying them, especially if you have hair that can be difficult to smooth and straighten! *This product was sent to me for review and all opinions expressed are my own. Love these products and the Angela Cosmai crew. If you're on the fence, don't be! The line is so amazing! also! the Smooth helps so much with keeping my hair frizz free. OMG! I don't know where I was before that product!! Thank you so much for the great review. I would like to invite you to get your hair color done at the Pierre Michel Salon in NYC. My treat!!! The sulfate free shampoo you liked is the #1 seller there. Please check out my website wwwangelacosmai.com. If you see something else you would like to try, I will send it along to you.